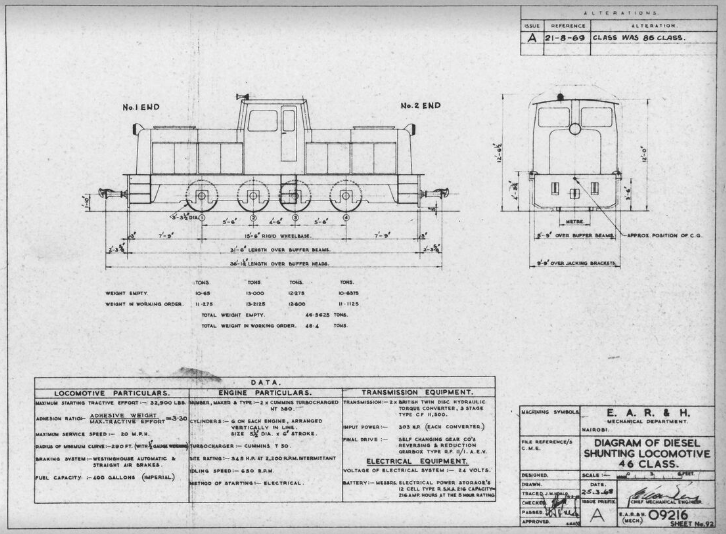 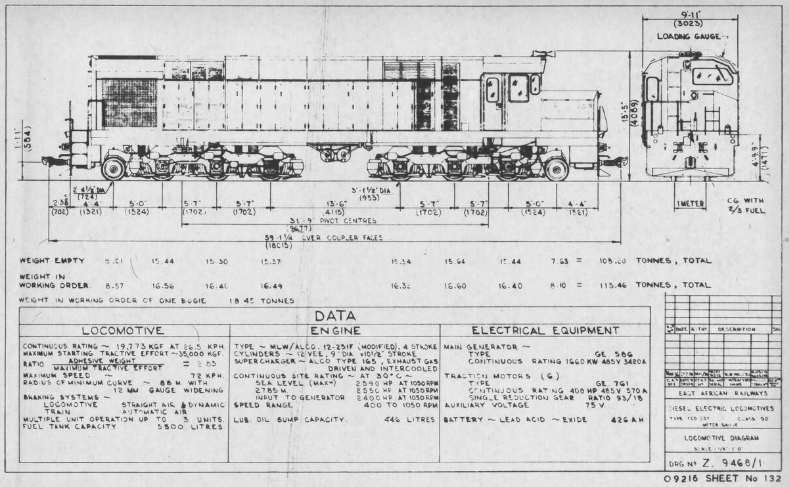 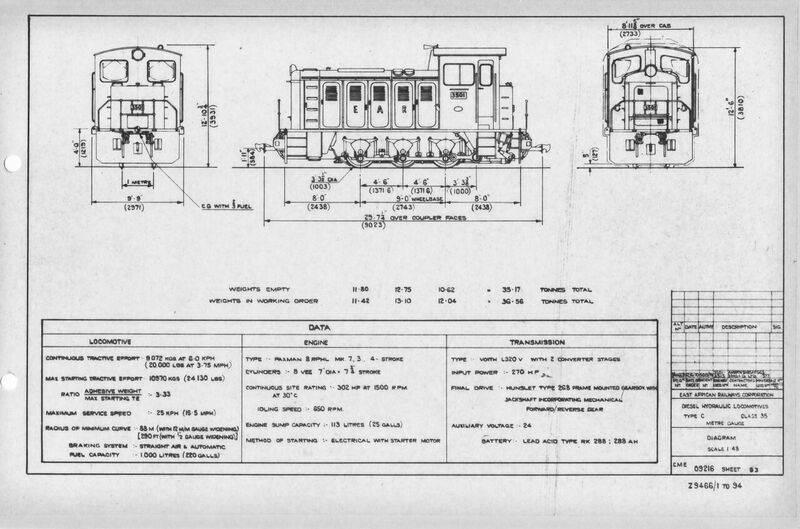 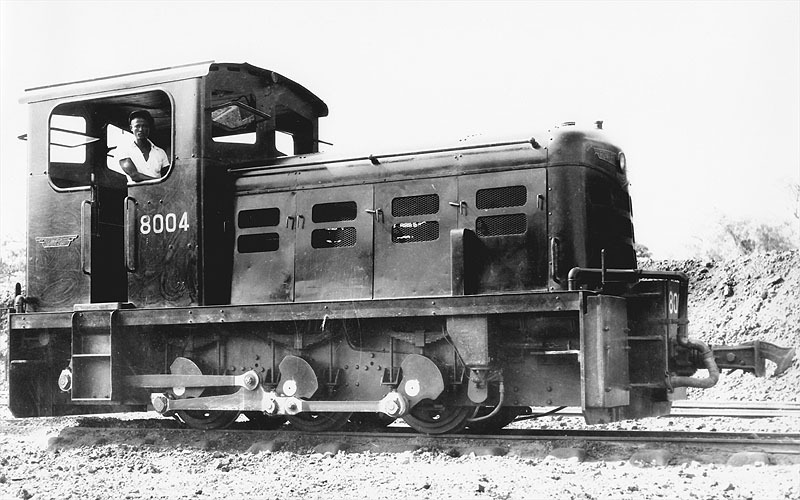 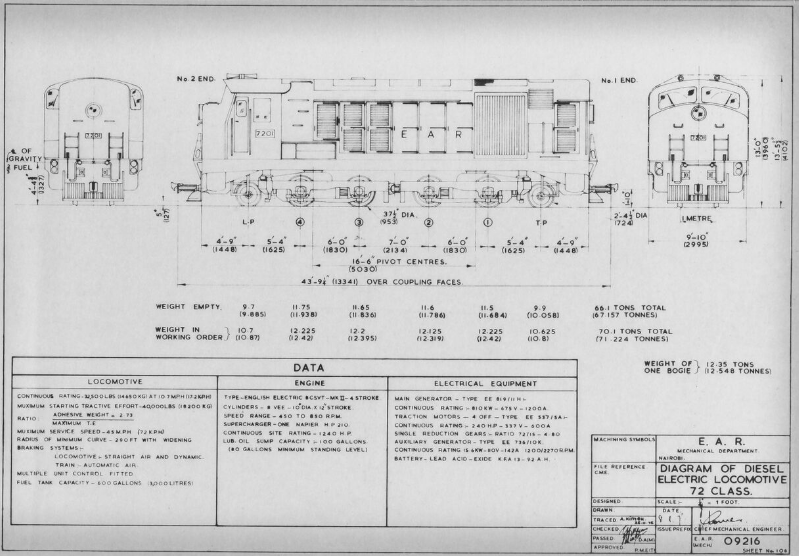 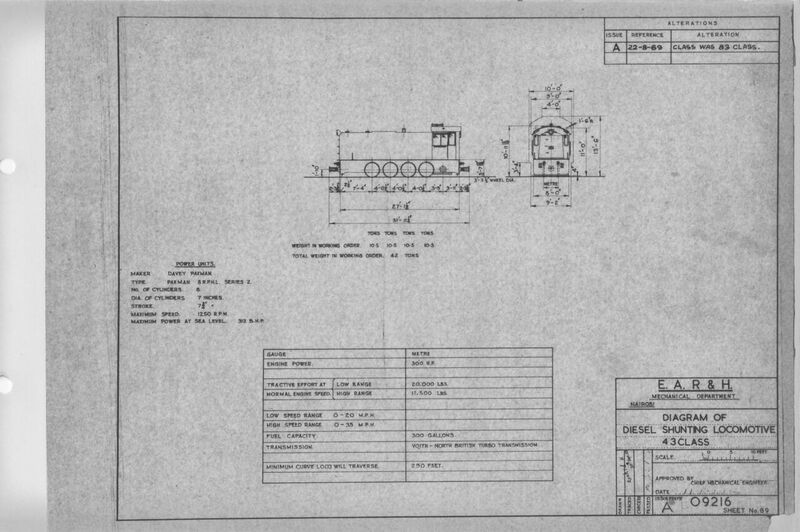 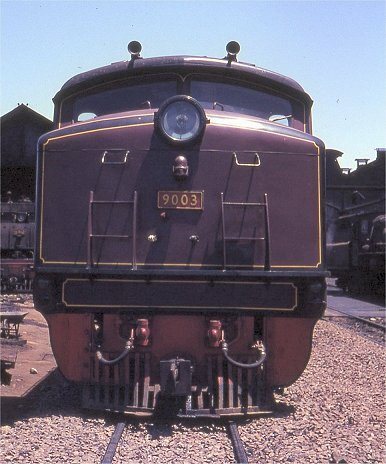 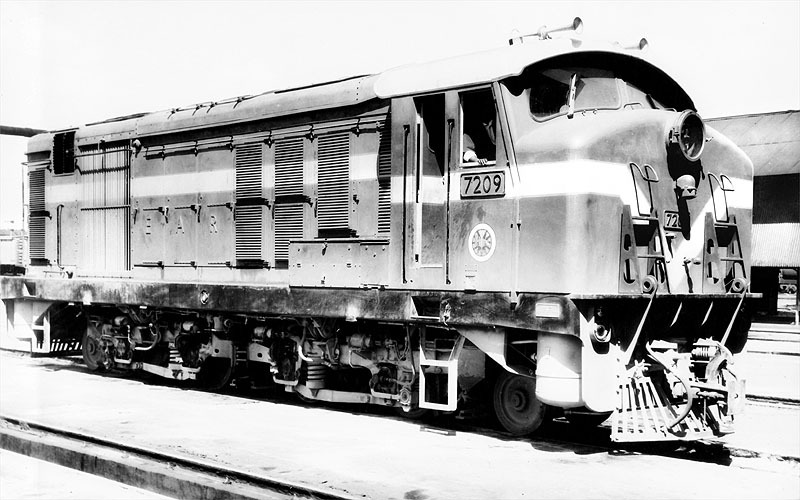 As the 20th Century progressed, railway networks and locomotive manufacturers began to turn away from steam and to look at a variety of alternative drive mechanisms and loco types. 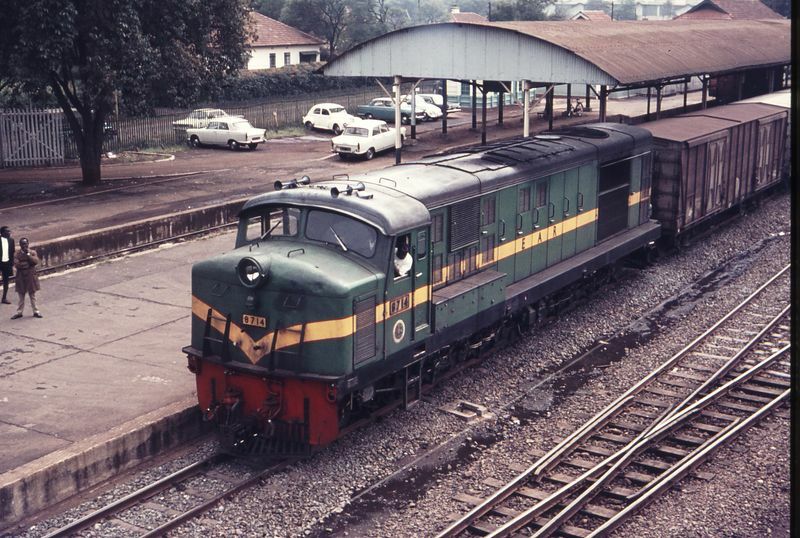 In East Africa the focus turned from steam to diesel. 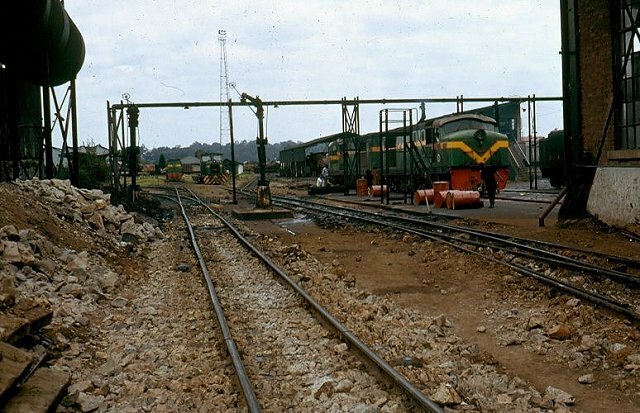 It is impossible to exaggerate the tractive effort required from the motive power on the line through Kenya and Uganda. 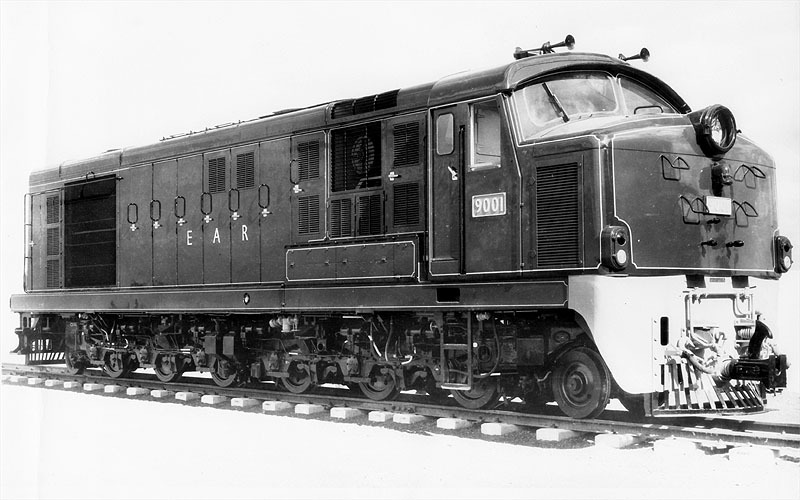 In the UK we make a great deal of fuss over the strain placed on standard-gauge locomotives on the West Coast Mainline. 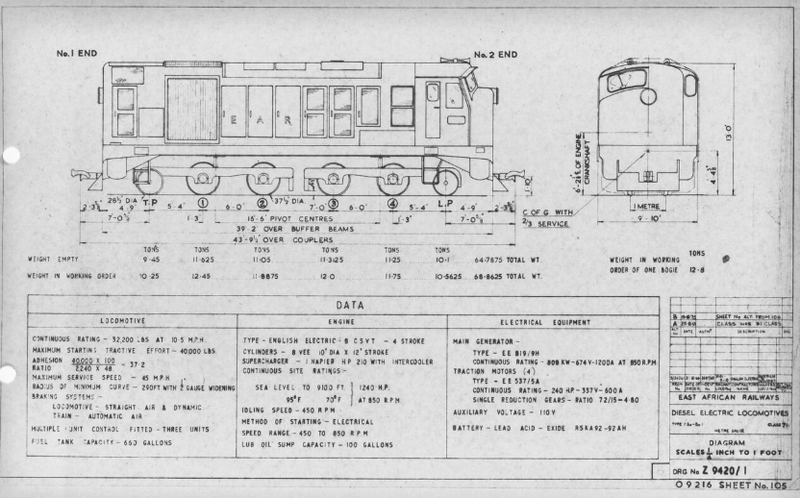 Shap, Beattock and Drumuachdar are significant climbs which taxed the most powerful of locomotives. 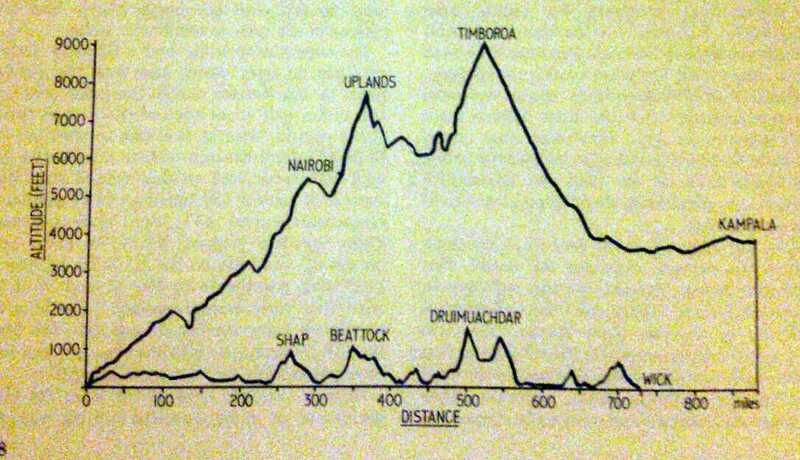 The gradients and the heights which the East African lines surmounted dwarf that UK mainline. 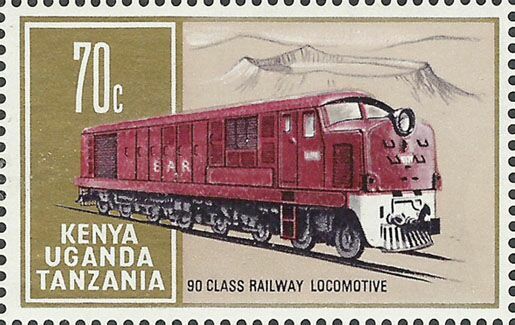 These feats of endurance and the relative power of the locomotives required to achieve them on narrow-gauge lines is astounding. 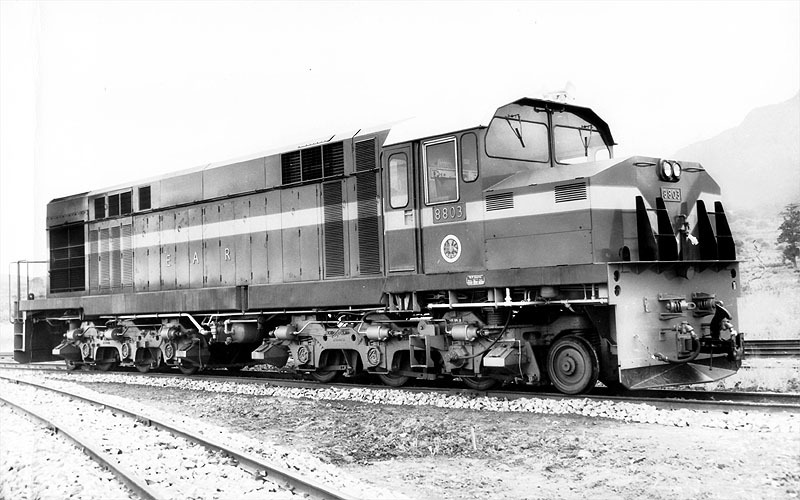 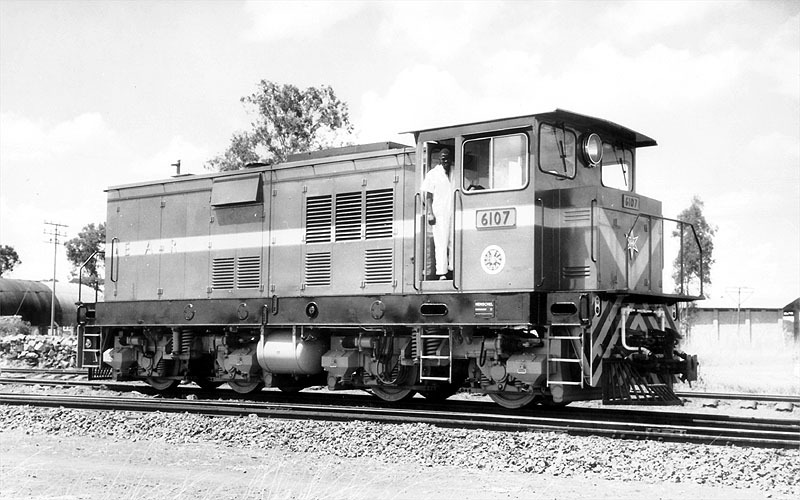 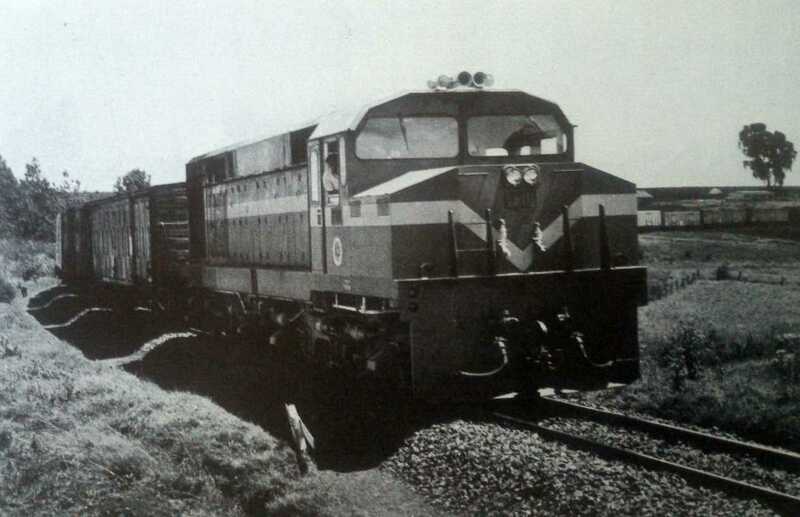 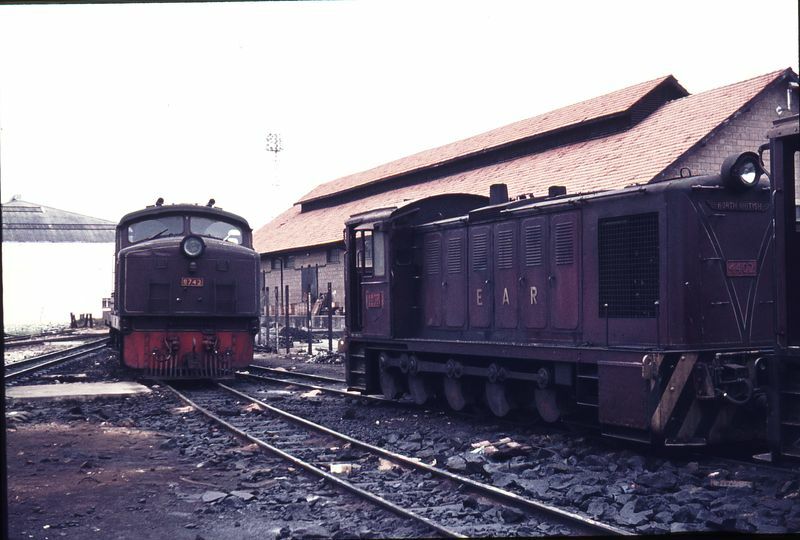 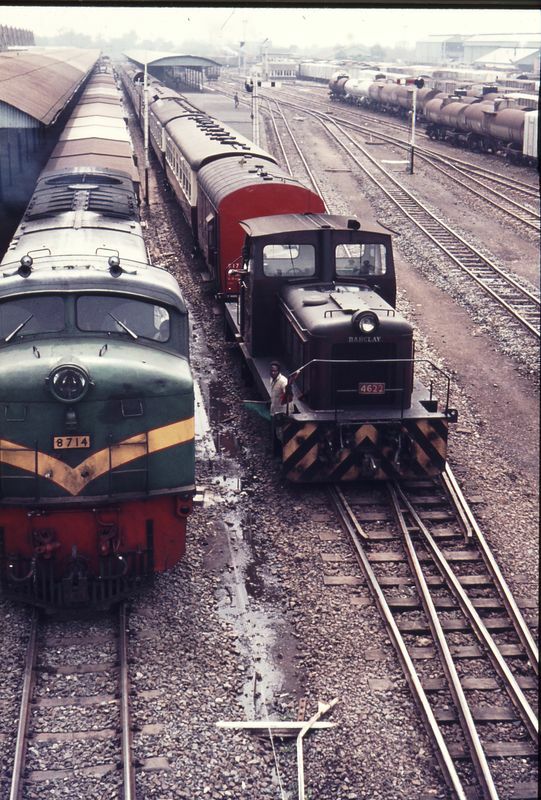 The diesels which would eventually replace the Garratts, which for many years dominated services on East African lines, would need to efficiently supply significant power with great adhesion if they vwere ever to makeva success of a role on these metals. 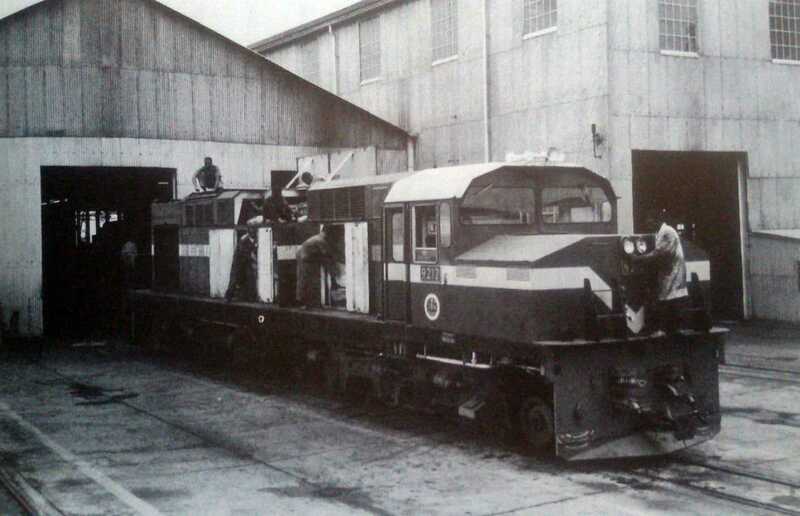 Locomotives of this class were supplied by the Drewry Car Co.
Its main factories were located at the neighbouring Atlas and Hyde Park Works in central Springburn, as well as the Queens Park Works in Polmadie. 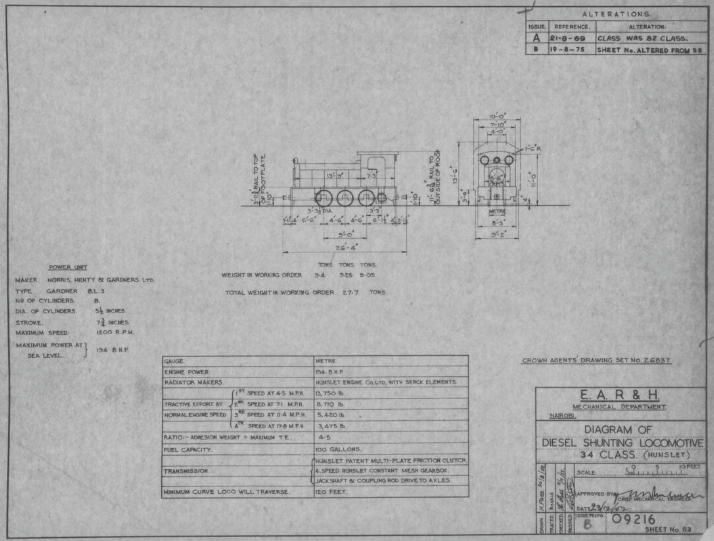 A new central Administration and Drawing Office for the combined company was completed across the road from the Hyde Park Works on Flemington Street by James Miller in 1909, later sold to Glasgow Corporation in 1961 to become the main campus of North Glasgow College (now Glasgow Kelvin College). 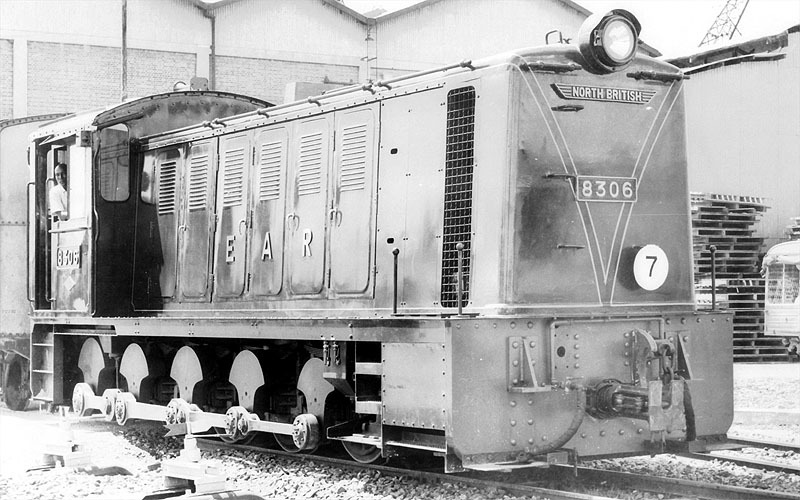 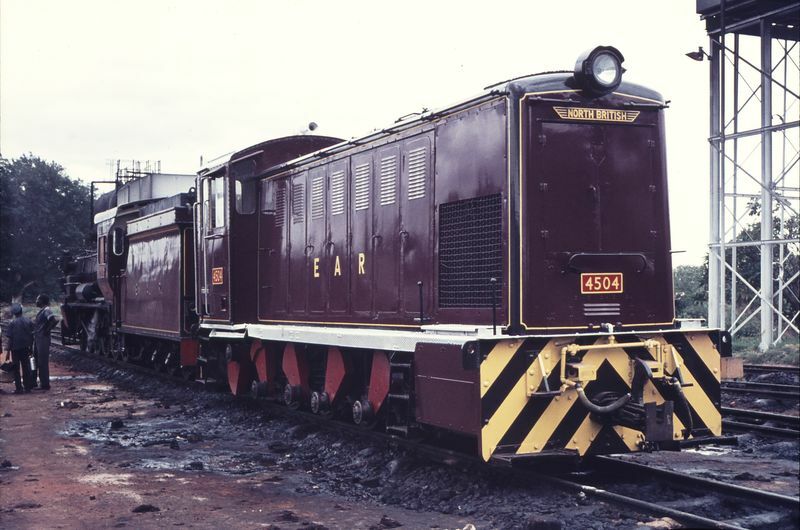 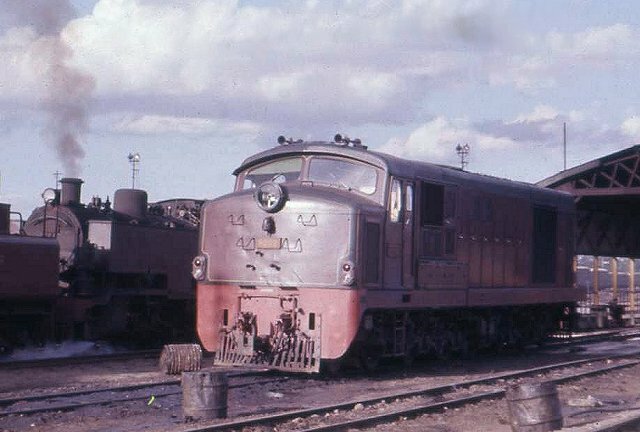 The Class 46 (86) 0-8-0 central cab locos were built for the EAR&H by Andrew Barclay Sons & Co. 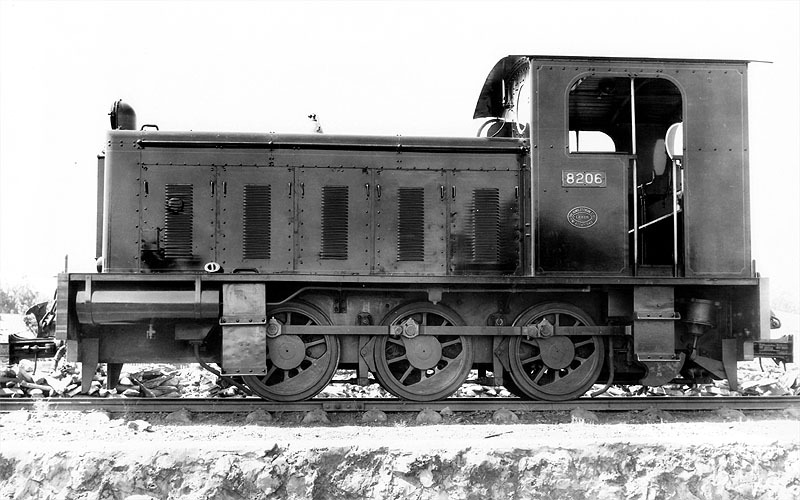 These locos were supplied by Henschel & Son (German: Henschel und Sohn), a German company, located in Kassel, best known during the 20th century as a maker of transportation equipment, including locomotives, trucks, buses and trolleybuses, and armoured fighting vehicles and weapons. 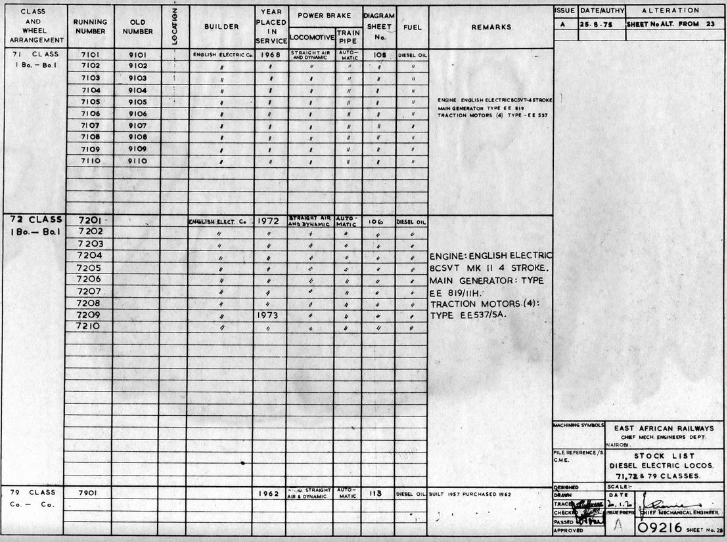 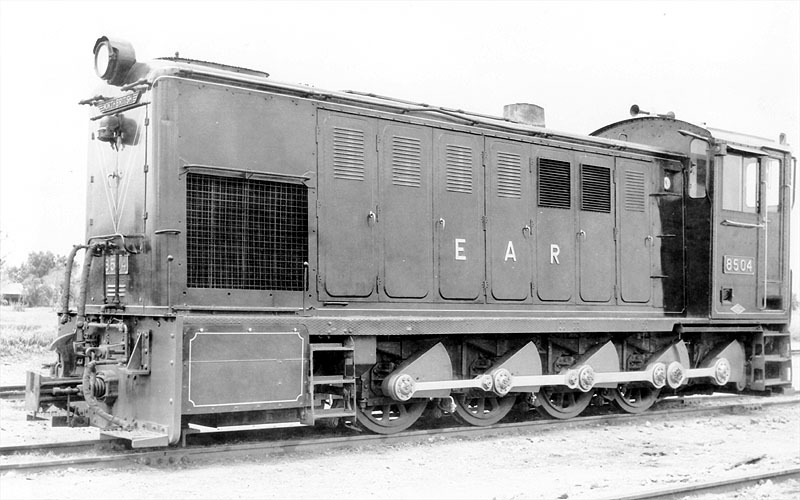 This Class was supplied by English Electric. 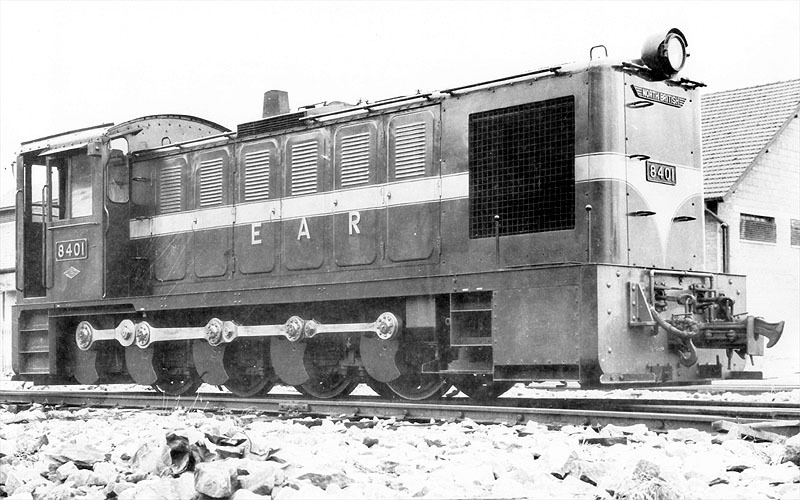 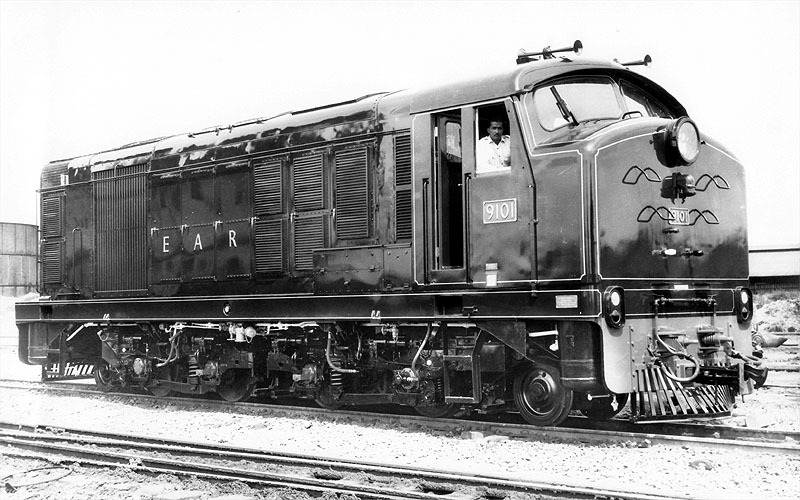 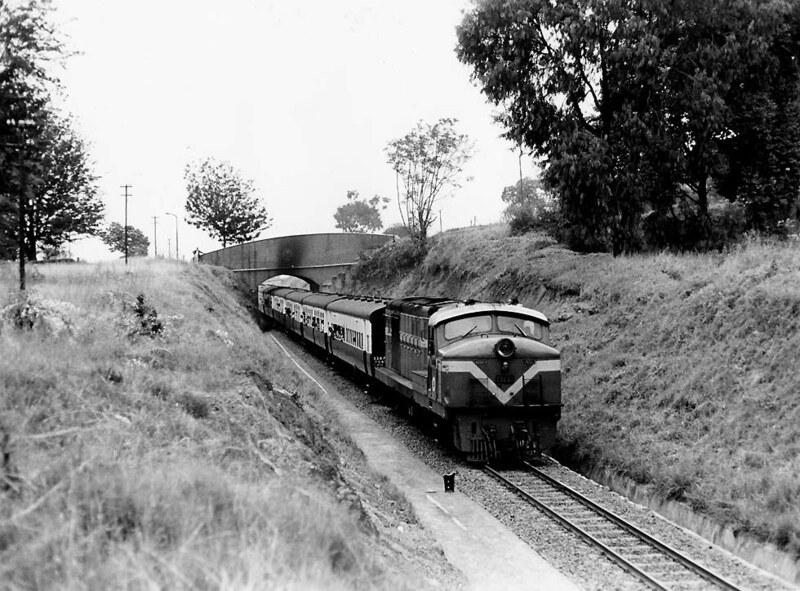 This Class was also supplied by English Electric. 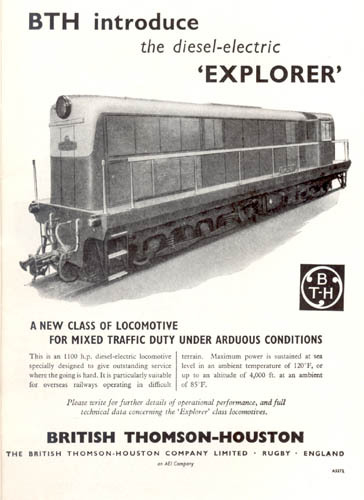 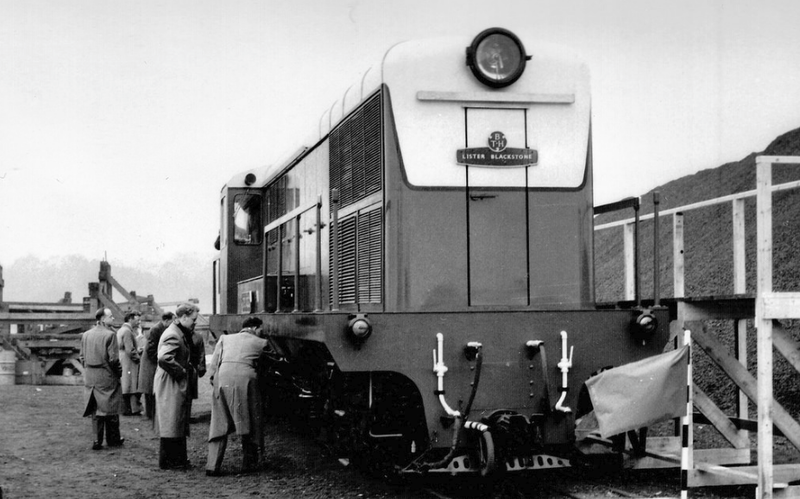 The Explorer was built by the Clayton Company of Hatton, Derbyshire, order number 3548 of January 1959, it was powered by a Lister Blackstone ERS.12T 12 cylinder twin-bank engine powering BTH electrics. 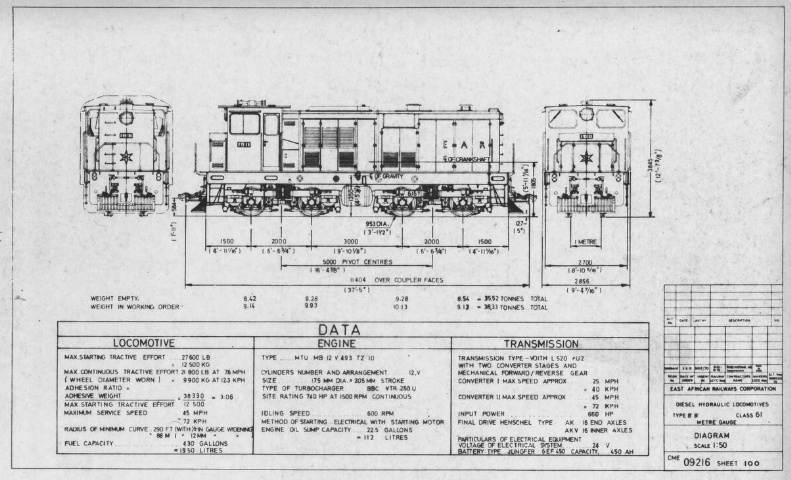 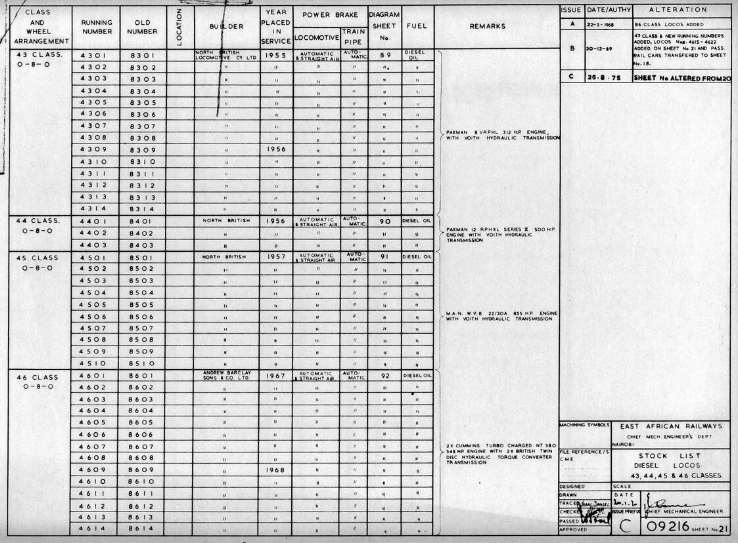 Cylinders were 8.75 x 11.5 inches, maximum crankshaft speed was 800rpm, output speed through the phasing gears was 1,320rpm providing 1,100hp. 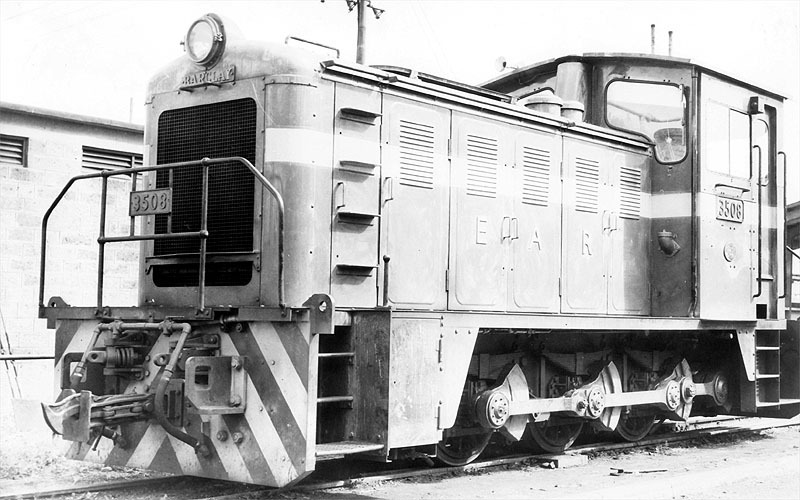 Either crankshaft could be uncoupled in an emergency. 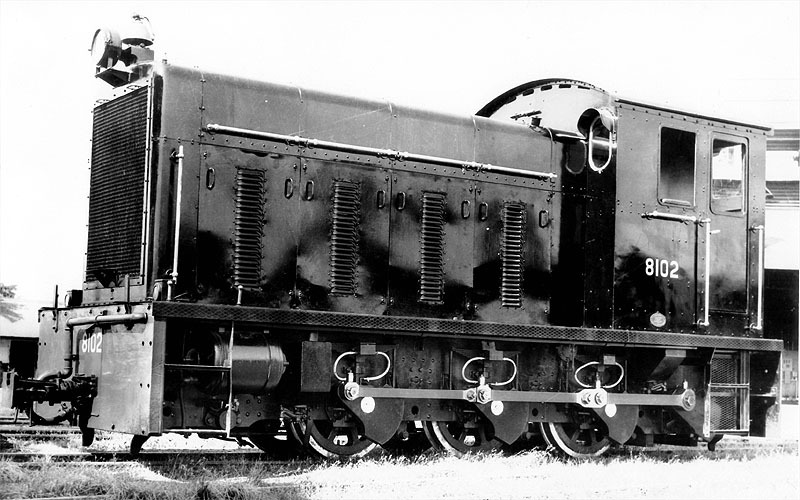 The locomotive weighed 72tons and rode on metre gauge Co-Co bogies of rubber cone pivot Alsthom style. 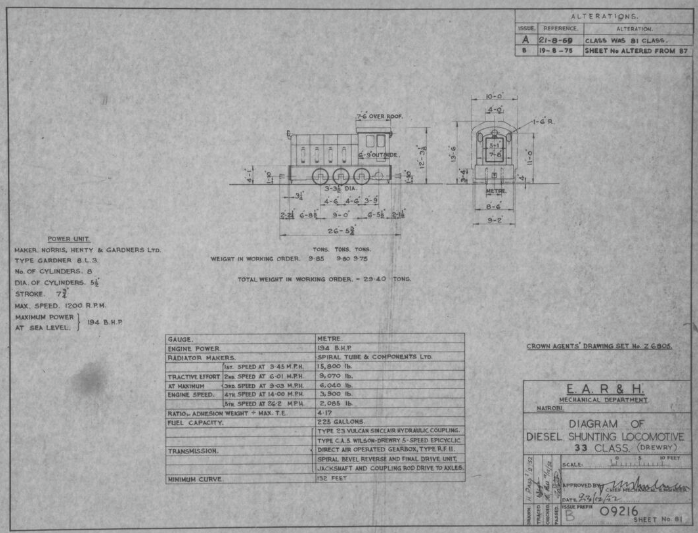 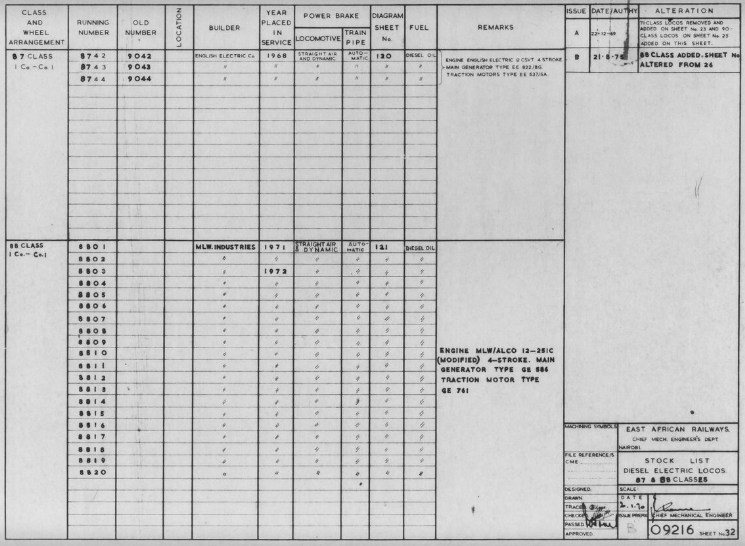 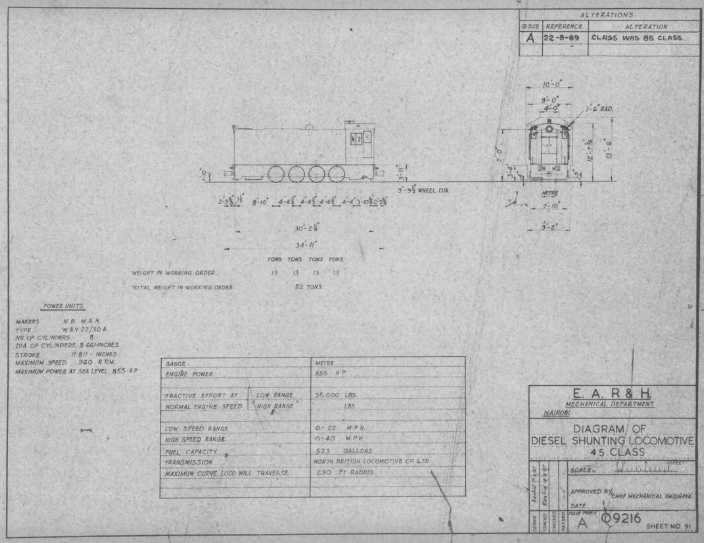 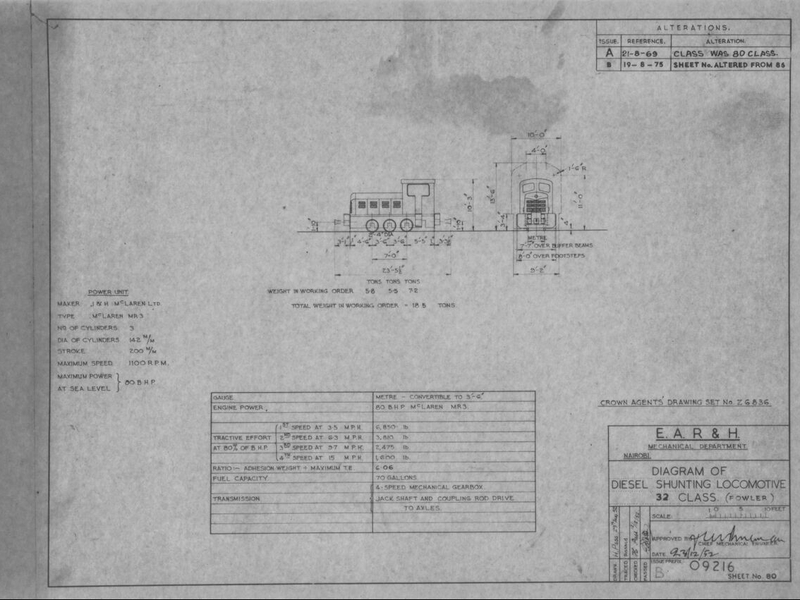 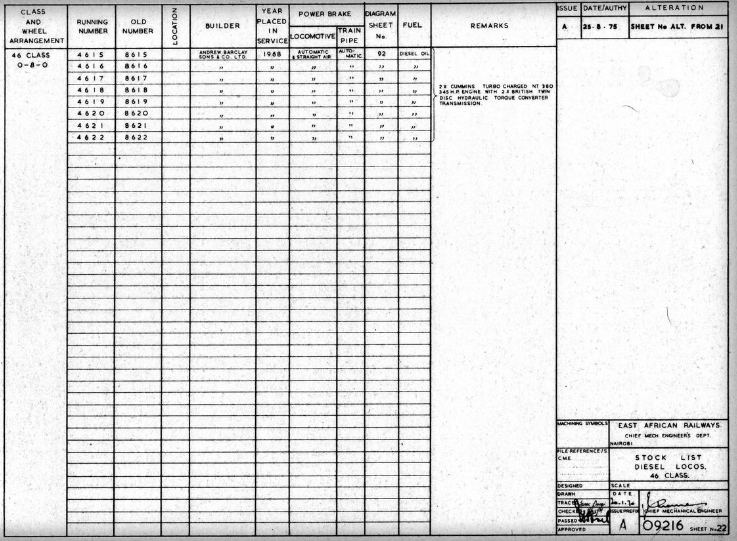 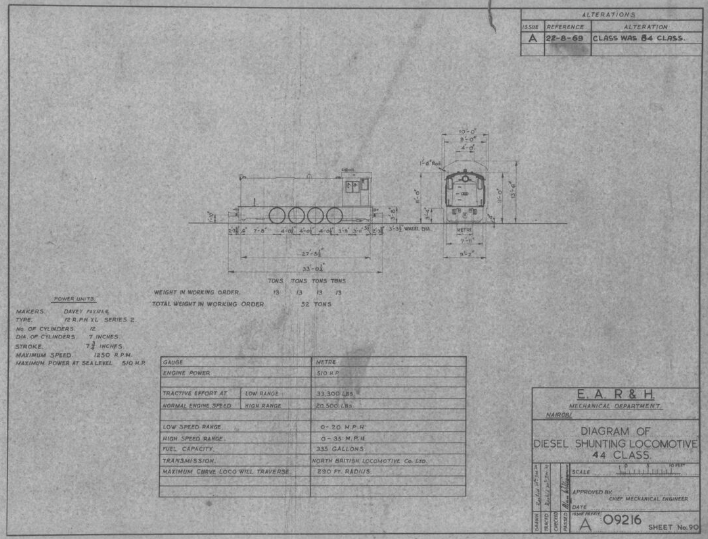 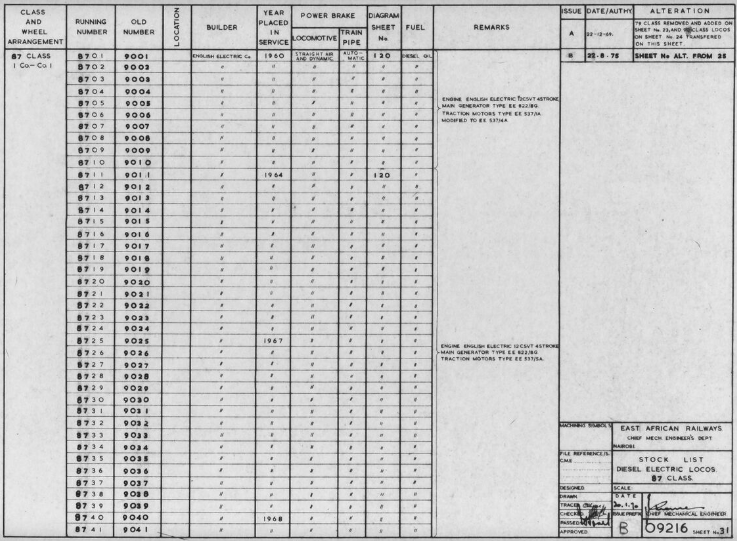 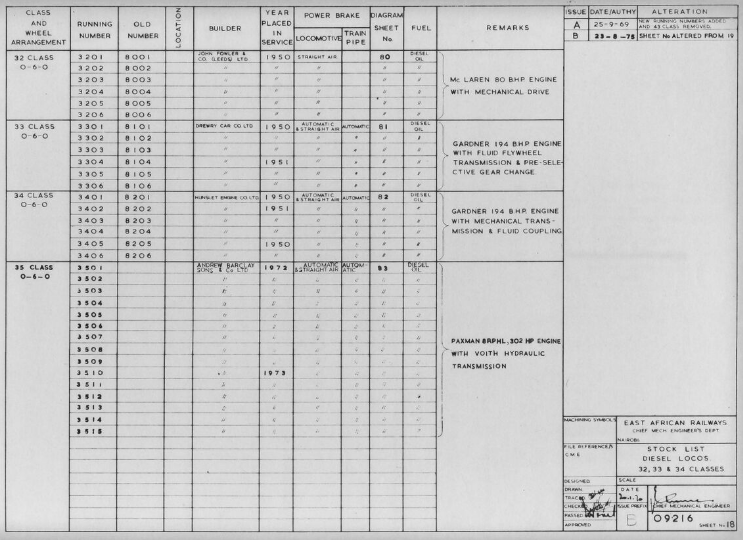 Alsthom (originally ALS-Thom(son)) had a similar relationship with GE as did BTH, and it appeared that design ideas also travelled ‘horizontally’ between GE ‘associates’. 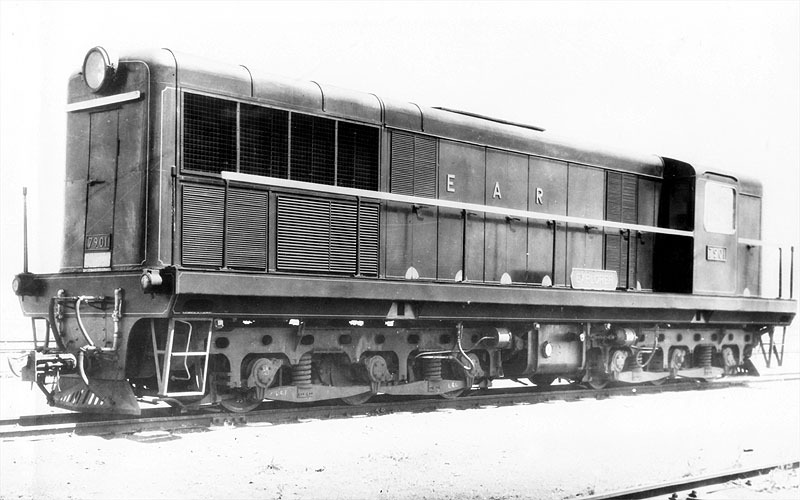 This aspect of the Explorer design was carried over to the later AEI Zambesi type. 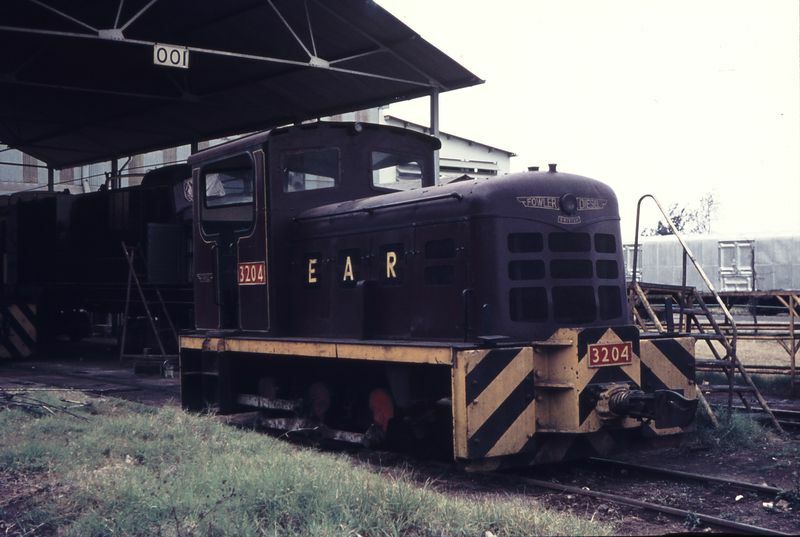 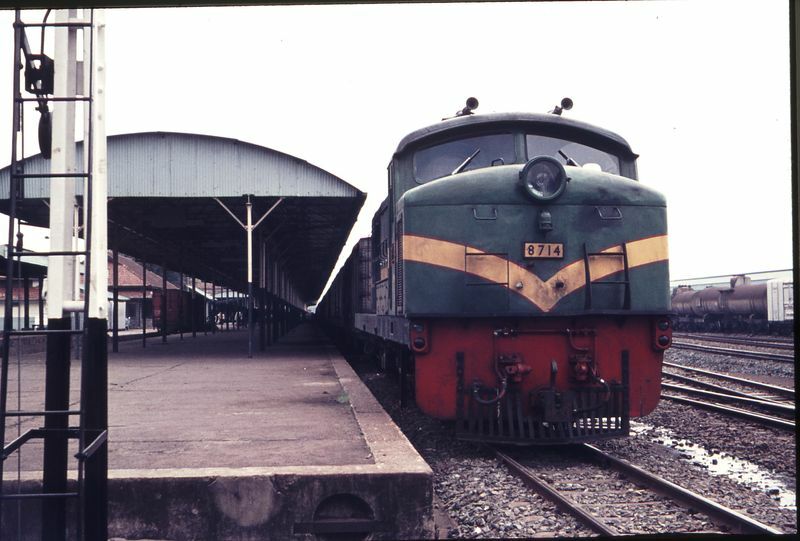 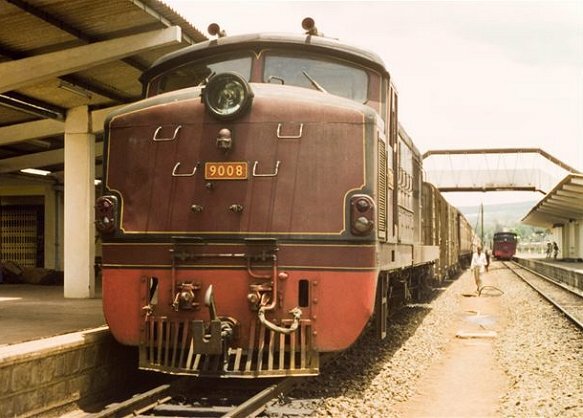 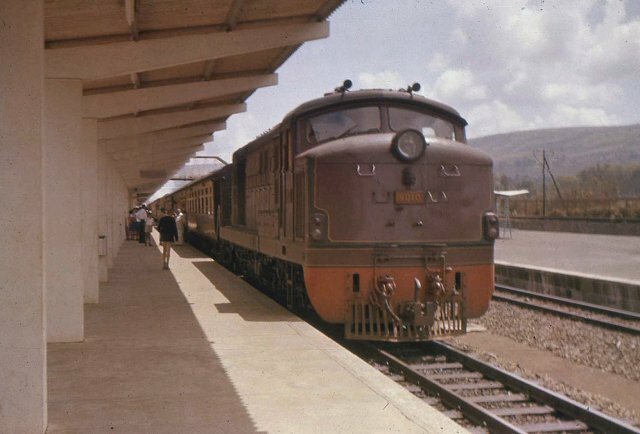 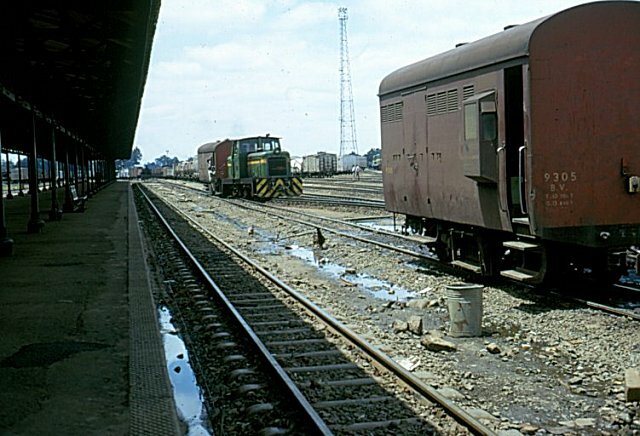 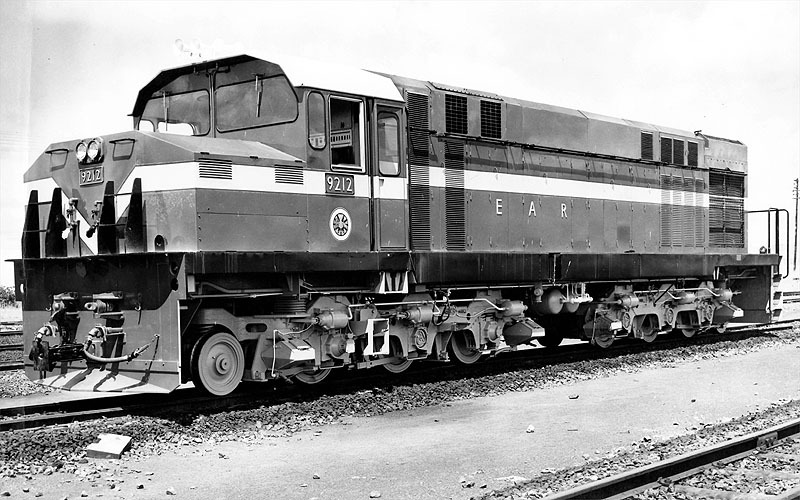 http://www.mccrow.org.uk/EastAfrica/EastAfricanRailways/NairobiMPD.htm, accessed on 1st June 2018.
http://www.friendsoftherail.com/forum/viewtopic.php?t=10472, 2nd & 8th January 2018, accessed on 26th June 2018.
http://trains-worldexpresses.com/700/704.htm, accessed on 26th June 2018.
http://www.mccrow.org.uk/eastafrica/eastafricanrailways/KampalaNairobi.htm, accessed on 24th May 2018.
http://www.mccrow.org.uk/eastafrica/duke%20of%20york%20school/PTannerTremaine.htm, accessed on 27th June 2018.
https://thetransportlibrary.co.uk/index.php?route=product/product&product_id=30014, accessed on 27th June 2018. 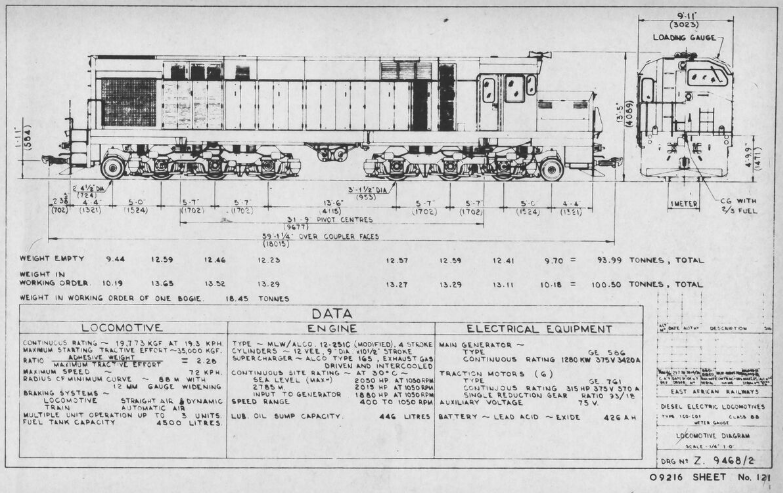 A. E. Durrant; Garratt Locomotives of the World (rev. 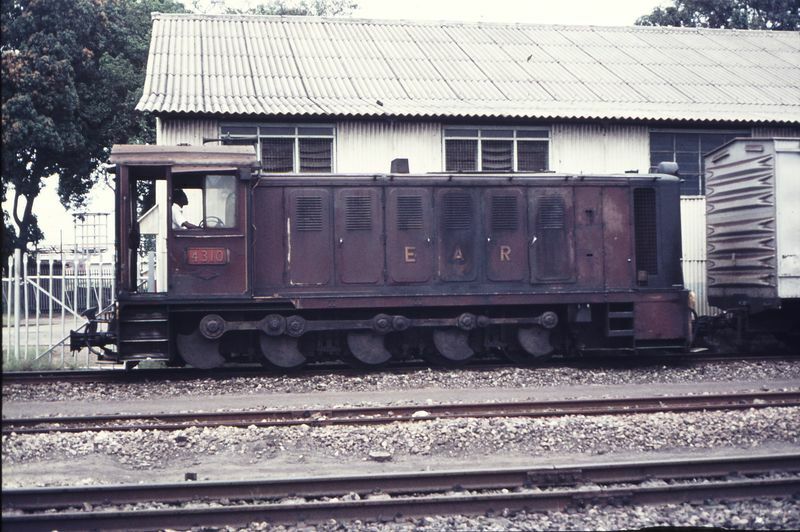 and enl. 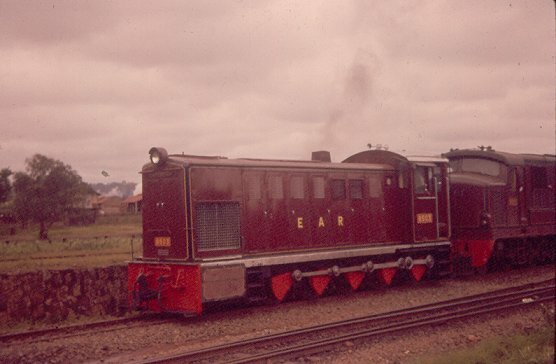 ed.). 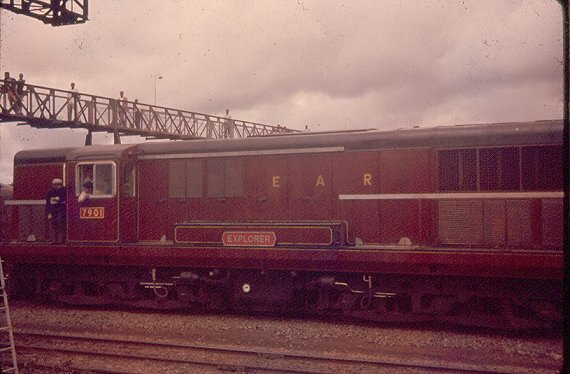 Newton Abbot, Devon, UK, 1981.
http://www.internationalsteam.co.uk/eastafrica/diesel.htm, accessed on 28th June 2018.
https://www.pinterest.co.uk/pin/544302304935454660, accessed on 28th June 2018. 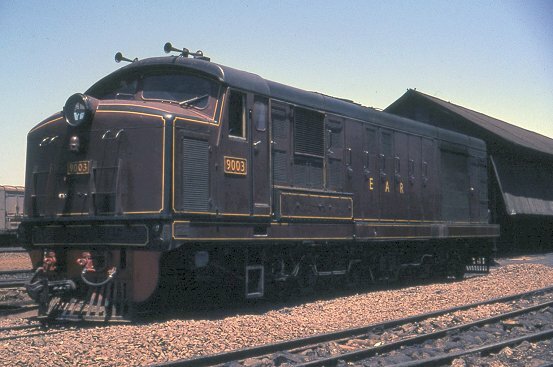 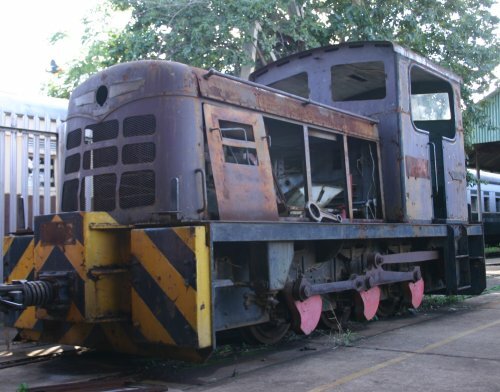 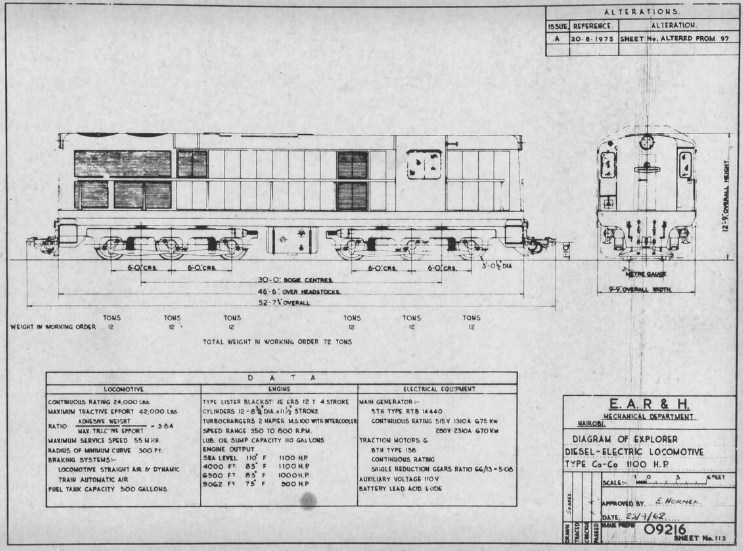 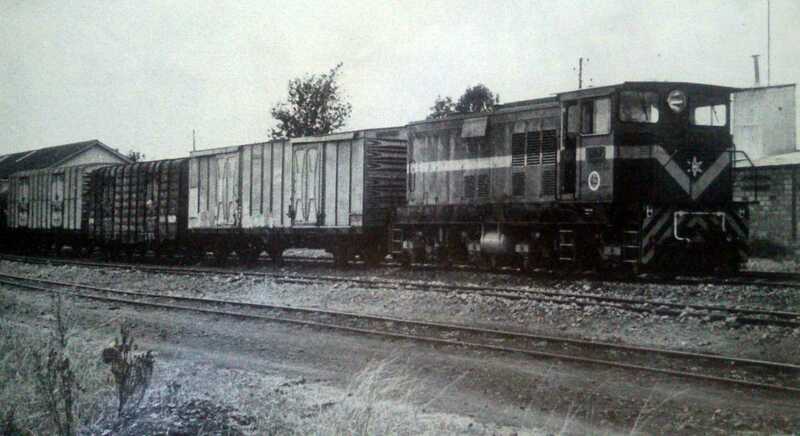 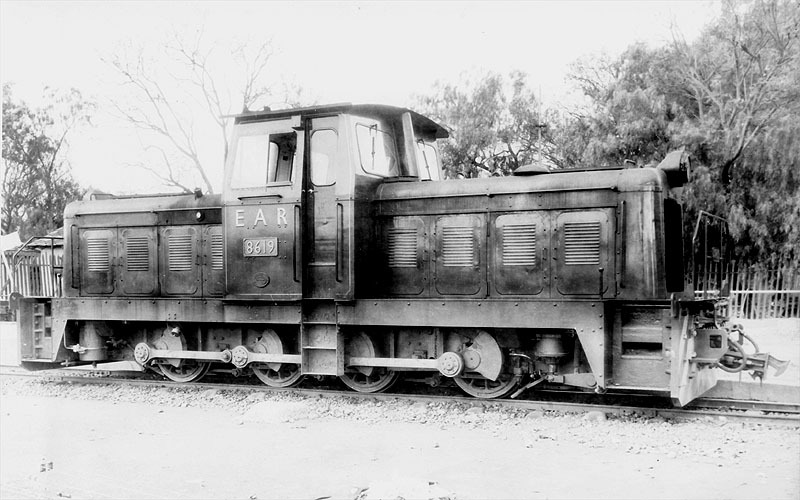 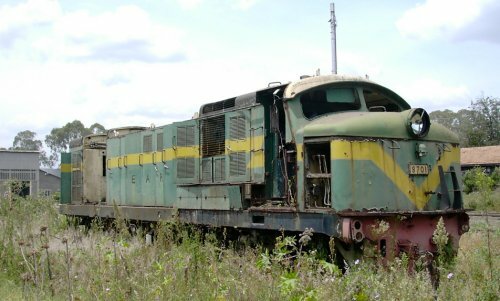 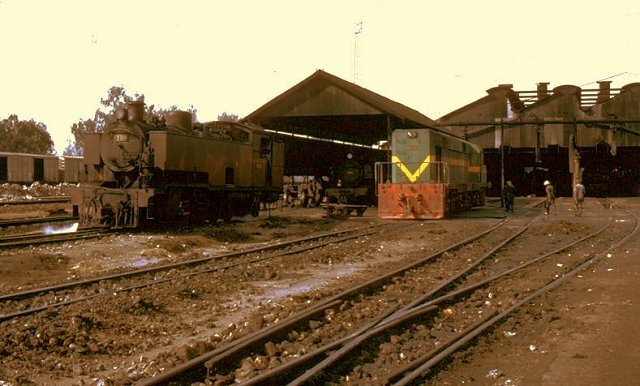 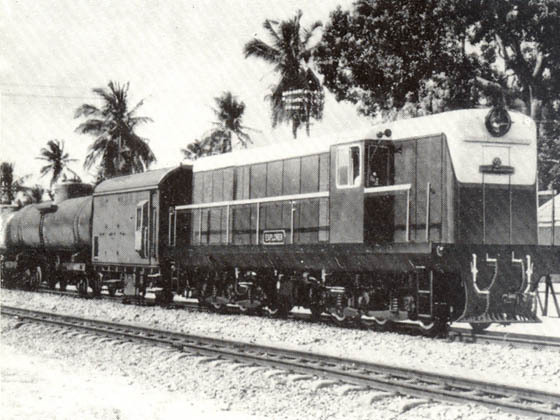 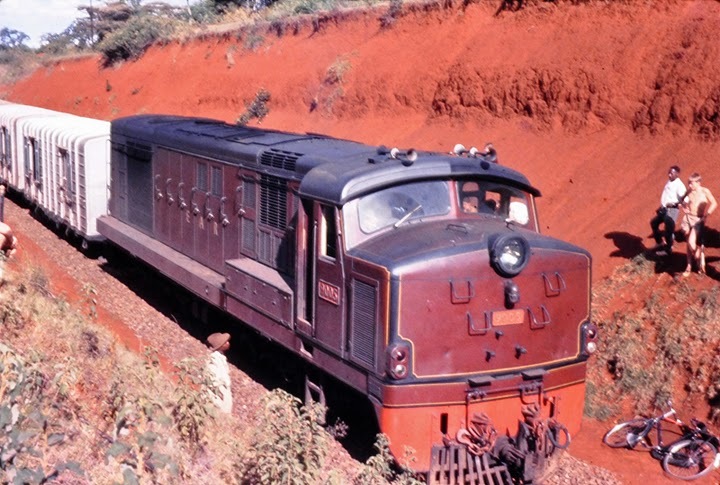 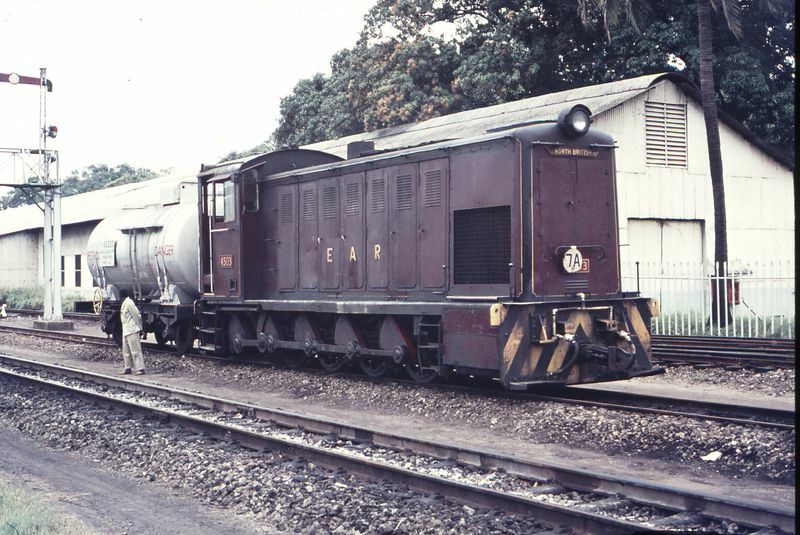 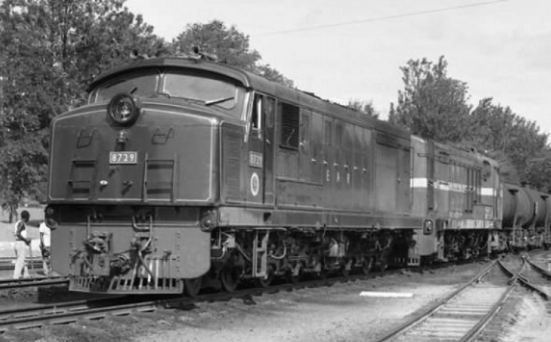 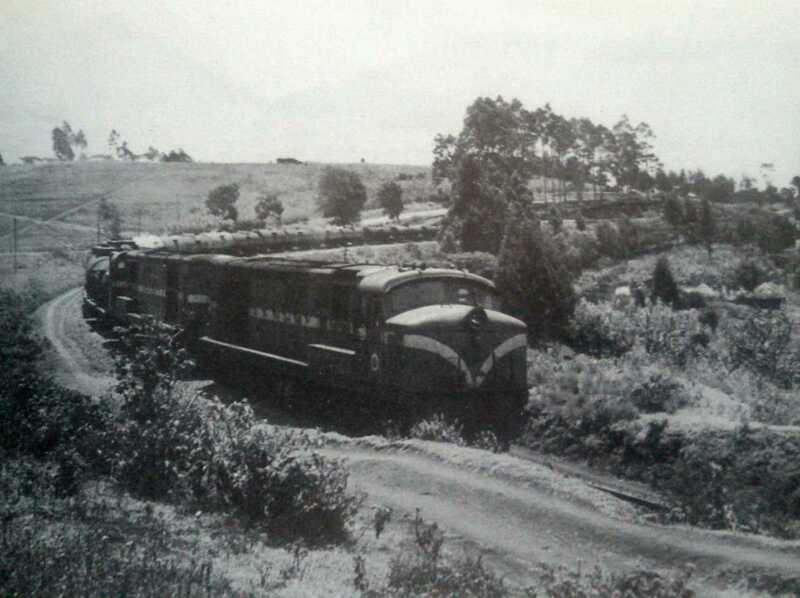 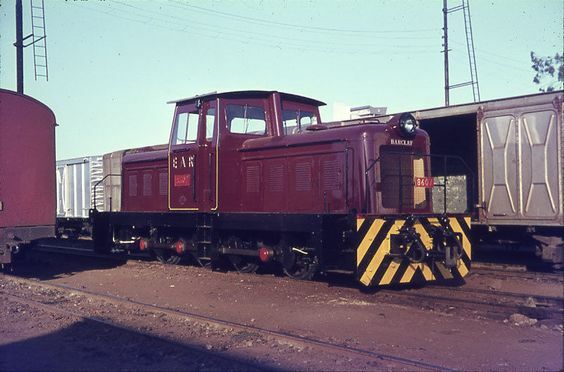 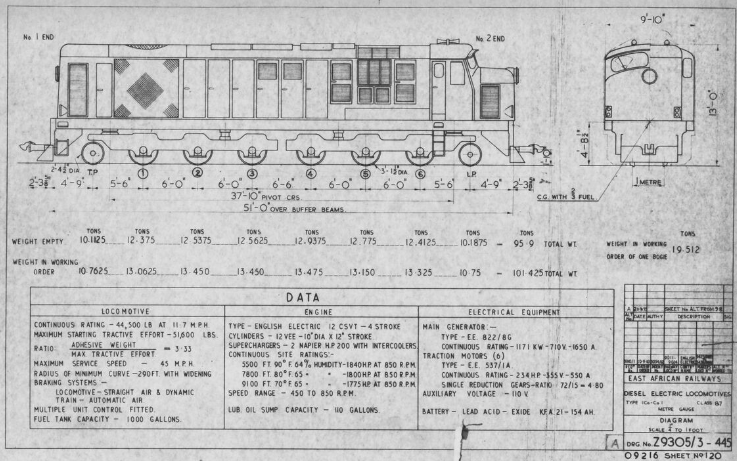 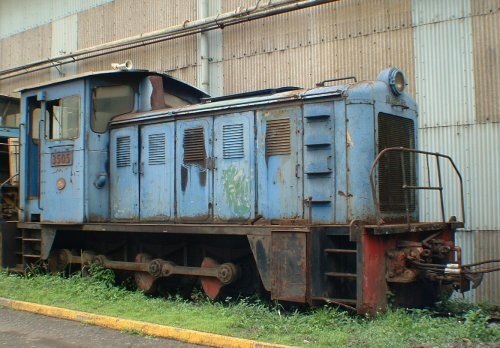 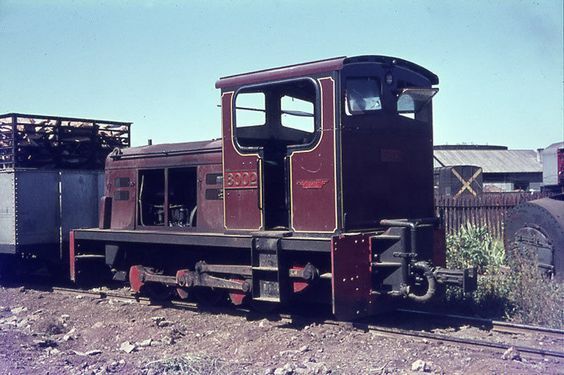 https://en.wikipedia.org/wiki/Drewry_Car_Co., accessed on 28th June 2018.
http://www.greywall.demon.co.uk/rail/Kenya/diesels.html, accessed on 28th June 2018.
https://www.dropbox.com/sh/lzmuuq1odbv6r48/AABZLSCp51DXZr6R4zdnF4TSa?dl=0, accessed on 28th June 2018.
https://en.m.wikipedia.org/wiki/Hunslet_Engine_Company, accessed on 28th June 2018. 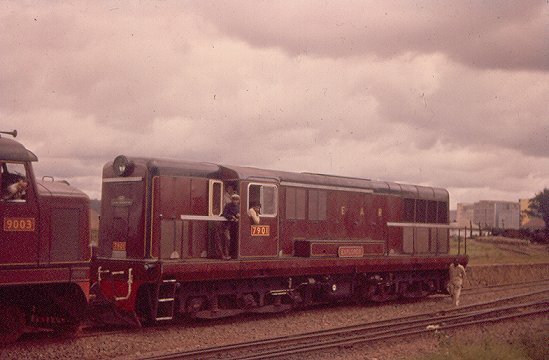 https://en.m.wikipedia.org/wiki/Andrew_Barclay_Sons_%26_Co., accessed on 28th June 2018.
https://en.m.wikipedia.org/wiki/North_British_Locomotive_Company, accessed on 29th June 2018.
http://www.mccrow.org.uk/EastAfrica/EastAfricanRailways/NairobiMombasa.htm, accessed on 29th June 2018.
https://en.wikipedia.org/wiki/Henschel_%26_Son accessed on 29th June 2018. 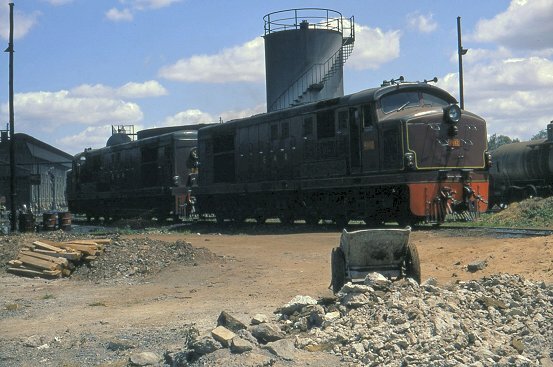 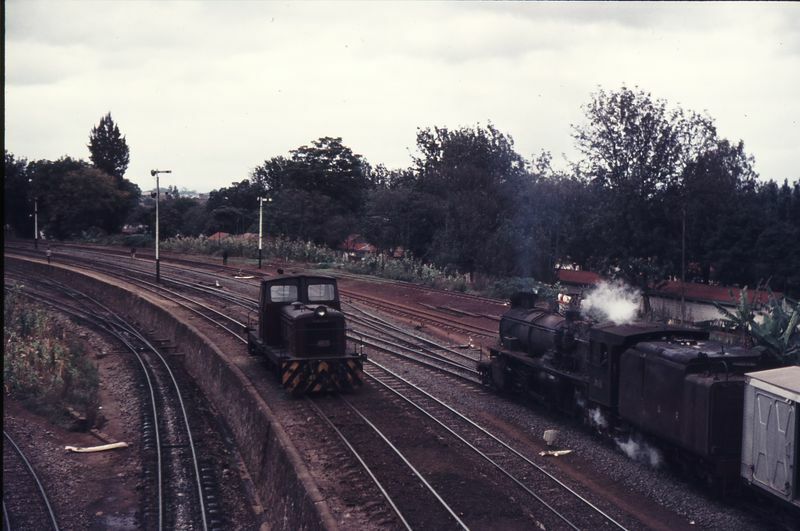 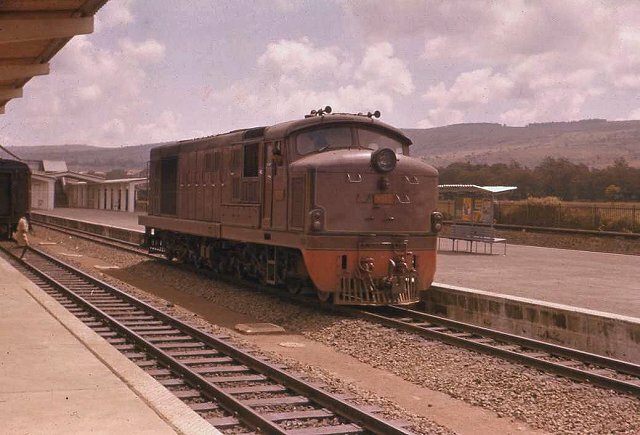 Kevin Patience; Steam in East Africa; Heinemann Educational Books, Nairobi, 1976.
https://www.derbysulzers.com/AEI.html, accessed on 29th June 2018.
http://www.trevorheath.com/livesteaming/Kenyadiesels.htm, accessed on 29th June 2018.
https://en.wikipedia.org/wiki/Montreal_Locomotive_Works, accessed on 29th June 2018.
https://www.westonlangford.com, accessed on 30th June 2018.
https://www.flickr.com/photos/124446949@N06/39846520124/in/photostream, accessed on 30th June 2018.
https://www.pinterest.co.uk/pin/313352086548265694, accessed on 3rd July 2018.
https://www.pinterest.co.uk/pin/313352086548265707, accessed on 3rd July 2018. 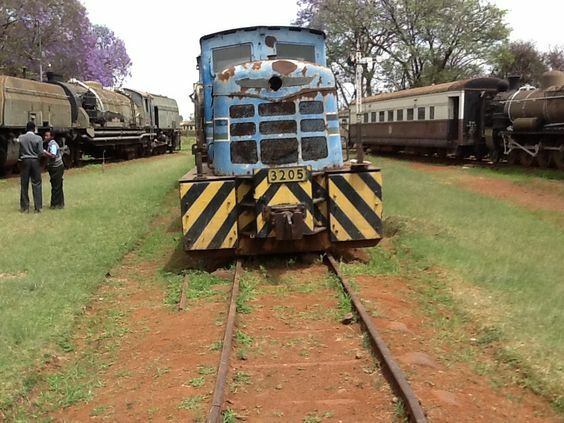 This entry was posted in Railways Blog, Uganda and Kenya Railways on June 29, 2018 by rogerfarnworth. 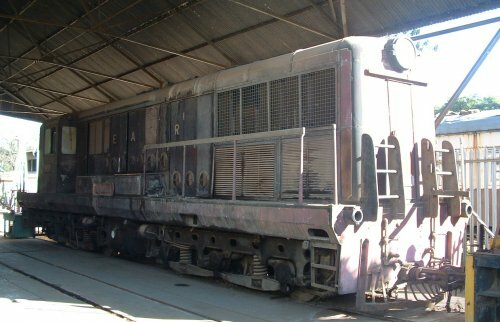 I went to look for 7901 EXPLORER at the RTC in May 2011. 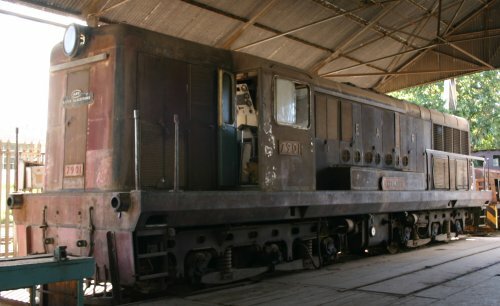 It had been scrapped recently and pieces of it could still be found laying around.